The three-year period from 1779 to 1782, culminating with the discovery of the seventh planet of the solar system and events in the wake of that discovery, marked Herschel's transformation from amateur to professional astronomer. His friend William Watson played an important role in helping him make this transformation by introducing him to the philosophical societies in Bath and London. But even before he met Watson on the street outside his house in Bath, Herschel had begun to formulate lofty goals for his telescopic observing program—goals that would have seemed ambitious even to the Astronomer Royal at Greenwich Observatory. Herschel's discovery of Uranus not only made him unexpectedly famous, but set in motion a change in his circumstances that made it possible for him to devote more of his time to the pursuit of his astronomical ambitions. Bath's Literary and Philosophical Society was just forming and had not yet held its first meeting when Watson encountered Herschel examining the lunar surface through his telescope. Such societies, which became popular in England and the United States in the 1700s, modeled themselves after the Royal Society in London, chartered in 1662. In this pre-Industrial Revolution era the Royal Society welcomed men as disparate in education as the navigator James Cook, who joined the navy without attending university, and the Oxford-educated philosopher and economist Adam Smith. Until 1840, all that was required for membership in the Royal Society was an interest in natural philosophy, however ''amateur'' or self-taught. (The French Academie des Sciences, established in 1666, limited membership to the more mathematically trained scientists from its inception.) In England, the local societies such as Bath's provided an opportunity for scholars, skilled merchants, and craftsmen alike to present their ideas and technological experiments to each other. Herschel, of course, became one of the Bath society's most active members. He contributed a number of papers on metaphysics and epistemology — the philosophy of ''how we know what we know''—but his reports on astronomical observations elicited the most approbation. The Bath society forwarded papers of particular interest to the Royal Society—which, as a venue for the most learned scientific dialogue and a central repository of information, often served as an advisory body to the monarch. Two of Herschel's first papers to receive the distinction of being forwarded to the Royal Society concerned the variable star Mira Ceti, which brightens and dims with an irregular period of about 11 months, and the lunar mountains. Watson continued to mentor Herschel after introducing him to the Bath society. He read and commented on Herschel's manuscripts before Herschel submitted them, curbed Herschel's enthusiasm for unfounded speculation and provided feedback on how the papers were received at Royal Society meetings in London. Some of the claims Herschel made about his telescopes in his early papers seemed, indeed, rather fantastic to members of the Royal Society. Parallax is the apparent shift of position of nearby objects when viewed by an observer who is in motion or who observes from different locations. The principle is easily demonstrated with one's own hand and eyes: one holds one's thumb still at arm's length and views it alternately with the right eye open and left eye closed, and vice versa. The thumb appears to ''jump'' back and forth with respect to background objects. 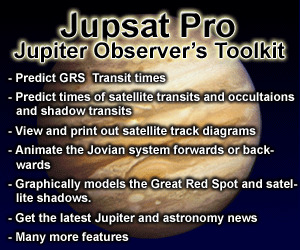 The ''jump'' occurs because each eye observes from a slightly different vantage point. The nearer the thumb to one's face, the bigger the jump. Indeed, we unconsciously gauge distances and acquire depth perception, at least qualitatively, through this effect of parallax. Parallactic shifts or jumps can be used to measure distances. The technique is similar to the surveyor's method Thomas Wright used to measure distances or heights by triangulation. Observations of a target object are made from two stations, separated by a baseline. In the example of the thumb at arm's length, the thumb is the target, about 40 centimeters away, and the eyes are the two stations, separated by a baseline of about 5 centimeters. Mathematically, one can relate the distance to the target to the size of the parallactic shift and the length of the baseline. 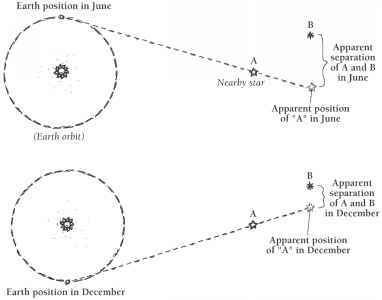 In the astronomical case, a target star would be observed from two different locations and its position with respect to some ''fixed'' background stars carefully recorded. If the stars chosen as fixed reference points were not, in fact, more distant than the target star, the technique would not work because these stars would also shift their positions slightly. The search for stellar parallax, which astronomers had sought for more than a century already, thus required a selection of suitable target stars. In the absence of any clues to stellar distances, astronomers generally assumed that the brighter stars were the nearer ones, and focused their efforts on these as targets. The parallactic shift of nearby objects is such a well-established phenomenon that for hundreds of years the absence of detectable stellar parallax gave some skeptics reason to doubt the Copernican or Sun-centered model of the solar system. As the Earth orbits the Sun, it describes a circle in space. 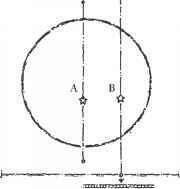 (Actually, it describes an ellipse, but the ellipse is very nearly circular.) Observations of a target star made six months apart—say, in January and June — are separated by some 300 million kilometers [186 million miles], the diameter of Earth's orbit. With such a long baseline, the skeptics asked, shouldn't some of the stars show yearly parallactic shifts? For some time, in fact, astronomers looked for evidence of parallax among the stars as proof that the Earth circles the Sun. By Herschel's time, the Sun-centered model was no longer in doubt, but the search for parallactic shifts continued, as a quest in its own right. In 1760, Nevil Maskelyne, the Astronomer Royal, specifically urged his fellow professional astronomers to intensify their efforts to find parallax. The problem is that the stars are very far away, and parallax is a very small effect to be sought among thousands of cataloged bright stars. The farther away the star, the smaller the ''jump,'' so the success of the technique depends on being able to record very slight apparent displacements. Pinpointing the locations of many stars in the stellar equivalent of latitude and longitude and re-measuring these coordinates at a later time in the year is time-consuming. Furthermore, the measurements of stars in different parts of the sky might be affected differently by atmospheric conditions, to name just one problem. In the seventeenth century, Galileo thought of a way to make the search for parallax more efficient. Instead of measuring the positions of bright (and thus presumably nearby) stars, and checking them periodically to see if any had moved back and forth on a yearly timescale, he suggested one should find double stars — that is, two stars next to each other in the sky — and monitor their separation. If one member of the pair is actually near and the other far, the near one will appear to narrow the gap, then increase it again (see figure 4.5). Herschel appreciated the practicality of Galileo's method. The task of searching for parallax was reduced to a single measurement, the angular separation of two stars, rather than a set of right ascension and declination measurements for each star observed. Galileo's method had never been implemented, even by its originator, however, for it requires a catalog of double stars to use as targets, and a method of measuring the separation of two stars in the telescope field of view. telescope, and the lamp micrometer's artificial double with his left eye. He adjusted the separations of the lamps until the real and artificial doubles matched, and from this set-up he would calculate the angular separation of the real stars. objects for future generations of astronomers, who might be able to achieve better precision in their measurements and isolate smaller shifts. As the years went on his double star catalogs became ever longer and more comprehensive, and were recognized as valuable contributions to the field. The second of Herschel's three main goals, formulated during the period when he was making the transformation from amateur to professional astronomer, brought him more gratification than the search for parallax. He set out to make bigger telescopes, pushing the limits of what could be accomplished with reflectors in the pursuit of faint or nebulous sources of light. 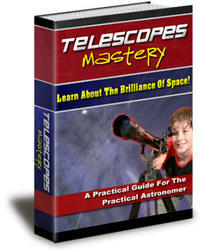 Alexander and Caroline provided essential support in this extension of his already complex telescope-making operation. Herschel to do was to grind them to the required figure and polish them. But when his supplier of blank mirror disks could no longer keep up with his requirements, Herschel learned how to cast the blanks himself. First he experimented with trials of different mixtures of metals to see which yielded a mirror surface that was highly reflective but retained its shape over the wide range of temperatures prevailing during the course of a night's observing. Some of the best mirrors were so brittle and sensitive to temperature changes that touching them with a warm hand on a very cold night might shatter them. Herschel found an alloy that pleased him in these respects, although the hardest and most reflective metals tended to tarnish quickly. He found it necessary to keep for each of his telescopes a spare mirror polished and ready to be exchanged with a tarnished one at short notice. Herschel survived the exploding flagstones episode and eventually succeeded in casting larger mirrors. During this transition period of the late 1770s, however, his largest telescope had an aperture of 12 inches. He referred to this instrument by its length as the ''20 foot telescope,'' and later as his ''former'' or ''small 20 foot'' to distinguish it from a subsequent 20-foot long telescope of 19 inches aperture. His 6.2 inches aperture telescope, which he called his ''7 foot'' telescope, also served him well, for it was more portable. This was the beautiful instrument Watson first saw, a square-section mahogany tube on a wooden stand. The 7-foot telescope was Herschel's favorite instrument for carrying out his reviews or ''sweeps'' of the sky, as he called them. The search for parallax and the effort to build larger aperture telescopes kept Herschel running from one task to another, and even sometimes giving music students the slip. Yet in 1781, he was spurred to new heights in the third of his main goals, the discovery of new nebulae and other unusual objects. In December of that year Watson gave him a catalog of nebulae prepared by the French astronomer Charles Messier. Messier, a comet-hunter, intended his catalog primarily as a list of comet look-alike objects that comet-hunters could safely ignore. The first item on his list, now known as M1 for ''Messier No. 1'' is the so-called Crab Nebula in Taurus, the aging remnant of a supernova explosion in the year 1054. Many of his items, such as M13, are actually clusters of stars that looked round and ''fuzzy'' to Messier. Herschel evidently thought of these nebulae as island universes, comparable in nature to our own sidereal system, although clearly of a diversity of shapes and sizes. The contemporary novelist Fanny Burney, daughter of Herschel's friend, the physician Dr. Charles Burney, reported in the 1780s that Herschel told her he had discovered 1500 new universes. In the spring of 1781, the extraordinary quality of Herschel's telescopes and his unusual assiduity in searching the heavens for new objects converged in allowing him to make a spectacular discovery. On the 13th of March, during the course of his systematic sweeping of the sky, Herschel noted the appearance of an unusual ''nebulous star.'' The star seemed uncommonly large, and he suspected it of being a comet. On the 17th, he noted it had changed place with respect to the background stars, as a comet should. By the 19th he had further confirmed his impression, determining that the object moved in the ecliptic. That is, it traveled through the constellations of the zodiac like most solar system objects. Other astronomers, including the Astronomer Royal at the Greenwich Observatory, Nevil Maskelyne, confirmed the object's motion. As news spread and astronomers checked their records, it became apparent that the object had been seen before, but had not attracted special attention. Herschel, with his superior optics and well-trained eye, had been the first to notice that this star-like object looked different, and he was therefore the first to track its position over the course of several nights. Astronomers and mathematicians across Europe set to work calculating the orbit of the comet and comparing its predicted motion to its evolving place among the stars. By May the startling truth was beginning to sink in: the data only made sense if the object orbited the sun at about twice the distance of Saturn, in a nearly circular path more similar to that of a planet than that of a typical comet. Herschel's ''curious'' object was in fact the first planet to be discovered since the dawn of recorded history. A new wandering star joined the ranks of those five known to the ancient Babylonians and Greeks: Mercury, Venus, Mars, Jupiter, and Saturn. King George III, a fellow Hanoverian. This did not go over well on the continent. As Ireland's nineteenth-century Astronomer Royal, Sir Robert Ball, put it, European astronomers ''considered that the British dominions, on which the sun never sets, were already quite large enough without further extensions to the celestial regions. ''30 They in fact proposed the name Herschel, as well as Uranus, and until 1847, the planet went by three different names. The name Uranus at least was in keeping with tradition, because Uranus, in Greek myth, is the father of the character associated with the Roman god Saturn. The Royal Society promptly elected Herschel a fellow and awarded him its Copely medal for his discovery of the new planet. Soon thereafter George III appointed Herschel as his personal astronomer: not the Astronomer Royal, but the King's Astronomer. A modest life pension freed Herschel from his now onerous music teaching duties. He and Caroline moved closer to Windsor Castle, to be available to entertain members of the court with views of the heavens. Herschel's skill in the manual art of making telescopes, and his inclination to investigate and debate the nature of things he saw through them, had propelled him from musician-astronomer to full-time astronomer. With the pension from the crown he began filling his time as many modern astronomers do: conducting research, raising money to support his investigations (in Herschel's case, through the sale of telescopes and by applying for grants from the king), and writing up his work as he went along. He trained Caroline as his assistant, and supervised workmen who were constantly refurbishing or maintaining his instruments and the wooden structures for mounting the telescopes.